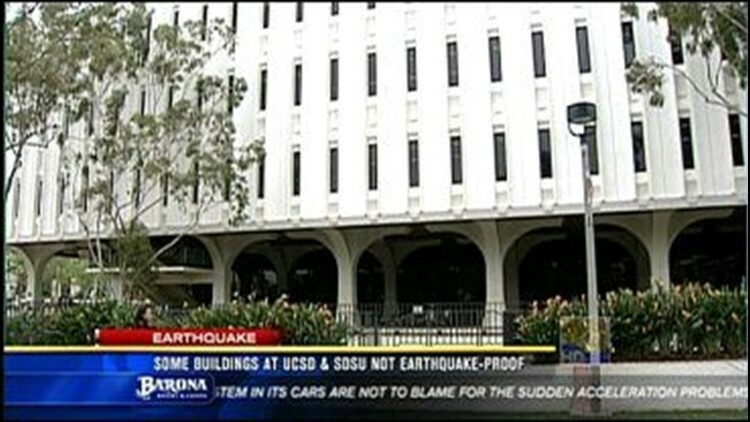 SAN DIEGO, Calif. (CBS 8) - A new report is raising concerns about earthquake danger at some of our local universities. The group California Watch says buildings at UCSD and San Diego State University could collapse in the event of a major earthquake. In this News 8 video story, Adrienne Moore has reaction to the report.